Replacing or adding a door, whether it's an exterior or interior door, can be a simple way to give your home a new or updated look. 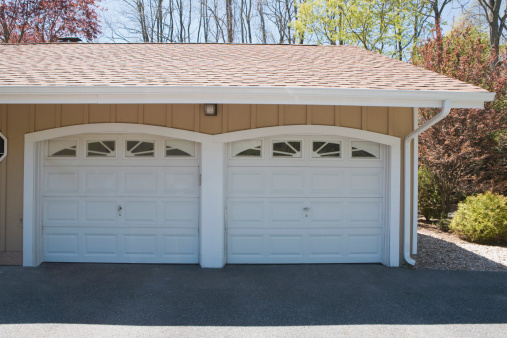 Purchasing a standard door will save both time and money compared to a custom order. But because homes throughout the country vary in style, size and age, it is difficult to identify a single standard size for either interior or exterior doors. However, there are general sizing guidelines for common door types. If you are looking to replace your door, measure your current door. But if you are adding a door, it's recommended that you measure the rough opening. To guarantee the proper fit, have a professional confirm your measurements before you place an order. To learn if your door is a standard size, you'll need to measure. Begin by measuring the height and then the width. Then, measure the thickness – or depth – of the door. It's also important to measure the width of your door jamb as well as the height and width of your frame. (These measurements do not include the trim around your door.) You may also be asked to provide a "rough-in" measurement for your new door. This simply means adding an extra 2 inches to the width of your door and an extra 2 inches to the height of your doorway opening. The most common front door size is 36 inches wide by 80 inches tall, with a thickness of approximately 1 3/4 inches. However, more modern entry doors can be as narrow as 30 or 32 inches and as tall as 96 inches. Fiberglass and steel doors are either 80 inches or 96 inches tall. A door's thickness may also vary depending on the material. Homes built over 50 years ago or those with custom finishes may not use a standard door size. Today, front doors can also be designed as a set of double doors, which creates a doorway twice as wide as the standard one. Used as exterior doors at the back of a home, they are the most common and least expensive type of back door available. These doors are also preferred because they bring lots of natural light into the house. They are simple to open as they slide in a parallel motion with one moving behind the other. Sliding glass doors are an easy way to access your patio or deck. The standard size is 6 feet 8 inches high by 6 feet wide, but other common sizes include 5 feet high by 8 feet wide and 8 feet high by 8 feet wide. Door sizes may also vary depending on the manufacturer. Interior doors generally refer to bedroom and bathroom doors, but homes may also have doors at the top of stairways or to separate certain rooms. All doors must be a minimum of 80 inches tall, but width sizes vary and can be 24 inches, 28 inches, 30 inches, 32 inches and 36 inches. If your home requires disability access, the minimum recommended width for any passage is 36 inches. The thickness of interior doors also varies, although the standard is 1 3/8 inches. However, if your door is wider than 36 inches or taller than 90 inches, the recommended thickness is 13/4 inches. These doors are usually smaller than standard doors. In older homes, those built before the 1990s, closet and utility doors may only be 18 inches wide. However, newer homes were regularly built with wider spaces, creating room for a door that is 30 inches wide and 96 inches tall.